Make sure to bookmark this spot and come back later for our America’s Got Talent finale recap from 8 PM – 10 PM ET! Refresh often so you get the most current info! While you wait for the episode head over and check out all our AGT spoilers, news, recaps & more! 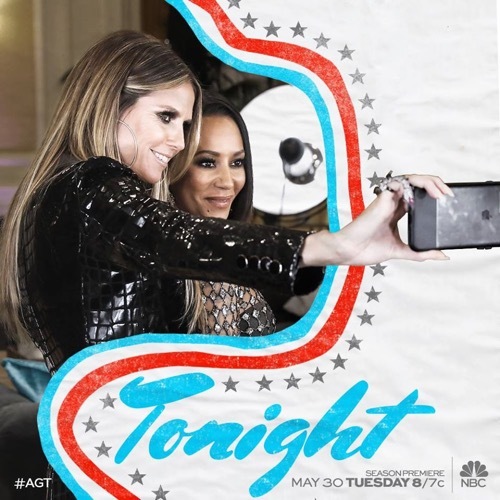 This season of America’s Got Talent opens with judges Mel B., Howie Mandel, Simon Cowell and Heidi Klum with Tyra Banks as the host. The first act is Jokgu the musical chicken. Her owners, Seihi and Shannon, call her a musical protégée and that this is her time to shine. She plays America the Beautiful on the keyboard with her beak. Howie asks how they realized she was able to play music and Simon says they have just witnessed something historic. All four judges vote YES. The second act is Preacher Lawson from Florida. He is a stand-up comic and talks about what a positive influence his mother has been on him. He talks to her on his cell phone as he waits to take the stage. He says he knows that money can’t buy you happiness. Well, actually it goes. Preacher takes the stage and reports he has a girlfriend which brings Boos from the audience. He tells several jokes about his grandmother and the judges love him. He gets four YES votes. He and Tyra call his grandmother with the news he will move on to the next round. Yoli Mayor is the next contestant and she is a singer. She is 21 years old and from Florida. Yoli reports she has been a “big girl” her whole life and always thought she couldn’t reach her dreams unless she was thinner. She soon realized that she had to sing no matter what her weight. Yoli begins to sing “I Put a Spell on You” but Simon stops her to say it isn’t working for him. He asks if she has a second song so she sings “Make It Rain”. Tyra comes on stage and takes off Yoli’s big earrings, necklace, and high heels. Tyra encourages her to be young and show her 21 year old self. Yoli rocks the song and the crowd goes wild. All four judges give her a standing ovation. All four judges vote yes. The next act is “the greatest escap-ologist” the Man of Mystery. He comes on stage wearing a mask and asks Tyra and Howie to join him on stage. He asks that they lock him up but every time Howie locks his wrists he immediately gets his wrist out of the chain. He then has Tyra tie him up with rope as tight as she can. Howie and Tyra put him into a bag and after 30 seconds of still being in the bag all four judges hit their buzzer to vote him off. He emerges from the bag dressed in a woman’s cheeta print nightgown. Mel and Simon take their no votes back and give him a yes. Howie and Heidi both don’t think he has a million dollar act and vote no. The Mystery Man is sent home. Ruddick is the next act and does some very strange dancing and it buzzed off almost immediately by all four judges. All the judges and several contestants tell Tyra how much they love her and that she is doing a great job. Simon and Howie read Tyra’s book and tease her about the content. The Kazoo Queens come on stage and are buzzed off before they can finish their song but Tyra joins them to finish the song before they are sent home. Several contestants Skype their families to let them know they are about the audition. The brother and sister Salsa Duo dancing act of Junior and Emily are next to perform. Their parents divorced when they were very young and they have always been very close. They were raised by their father who pushed them into dancing to try to keep Junior out of trouble. They have been dance partners for 17 years. All four judges are standing by the end of their performance. They get four YES votes. Howie says he often hears people say that dance is their life but they proved that with their act. Mel B. thought they were brilliant. Tyra brings Will (who is 33 years old) on to the stage to present his magic act. He hopes this will be a turning point for his life. He saw a man perform magic on the street when he was a young boy and taught himself magic after that. For a good time as a young man he was homeless and he hopes everyone likes his show. Will performs several card tricks with coins and turns coins into flower petals. The crowd loves his act. All four judges vote YES. Howie says this was the best close up magic he has ever seen in his life. Mel B. thought he was amazing. Simon agrees it was the best magic he has seen on the show. The next act is a Trump impersonator and the crowd boos as he walks on stage. Bruno Mars starts playing and Trump starts to dance and sing. He moves on to “Uptown Funk You Up”. He ends with saying if he doesn’t make it on to the next round it is obvious the show is rigged. Howie votes YES, Heidi says it was the first time she ever liked Donald and she votes YES. Mel B. starts to vote NO but Trump interrupts to say everyone says he is the best singer ever. Mel B still votes NO and Simon votes YES. With three YES votes he moves on. Simon talks to his son on set and asks him if he had to be on a deserted island for the rest of his life who would he want to be with: Mommy or Daddy? He says Daddy because he gets to press the scary button. The next audition is Merrick Hanna, a 12 year old boy from California who is a dancer. He says his 80 year old grandma is his inspiration because she takes 4 dance classes a week. The judges loved his ability to tell the story of the song through his dance. Four YES votes. The next audition is a clown who doesn’t speak. He carries a sign that says his name is Puddles Pity Party. He breaks out into song and sings Chandler by Sia. The crowd loved his voice and talent. Howie votes YES. He thinks Puddles is very talented. Heidi wants to see more. All four judges vote YES. The next act requires medics on the stage. Damien is a 36 year old escape artist. His wife cries as it gets closer to Damien taking the stage. He has been hurt before when his act has gone wrong. Damien will attempt to escape from a sand pit within 2 minutes so he isn’t crushed. Damien is handcuffed at the wrist and ankles and then chained to the bottom of the cage at his neck as the sand starts pouring into the cage. The sand engulfs him before he can escape and the crowd starts screaming. Two men run out and break the glass to show the cage is empty. One of the men turns to show it is actually Damien. The judges loved it and he gets four YES votes. Darcy Lynn is 12 years old and from Oklahoma. She is a ventriloquist. She is naturally very shy and ventriloquism has helped her come out of her shell and increased her self-confidence. She comes on to the stage with Petunia her bunny. She sings and the crowd goes wild. Darcy cries at the crowd’s reaction. Howie asks how long she has been doing this and she reports two years. Howie says she will go far. Simon says he is going to remember her for a long time. Heidi loved everything about it. Mel B hits the golden buzzer which sends Darcy straight the live show. She can’t believe it.